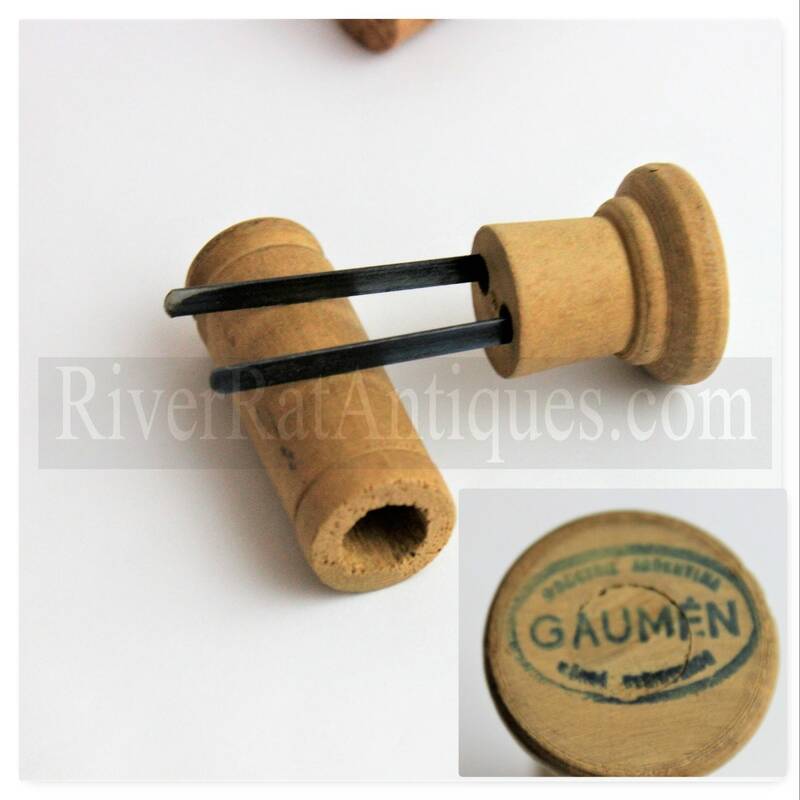 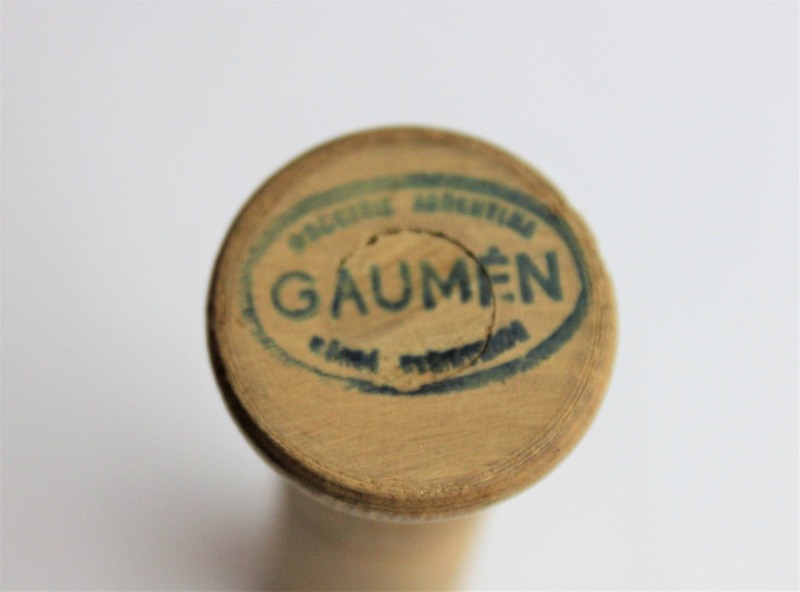 We have for sale a Vintage Industrial Argentina Wooden Gaumen Prong Cork Puller. Argentina cork pullers and corkscrew are not easy to come by, this is an all wood prong puller with two metal prongs nicely turned wood with the name stamped on the handle end. 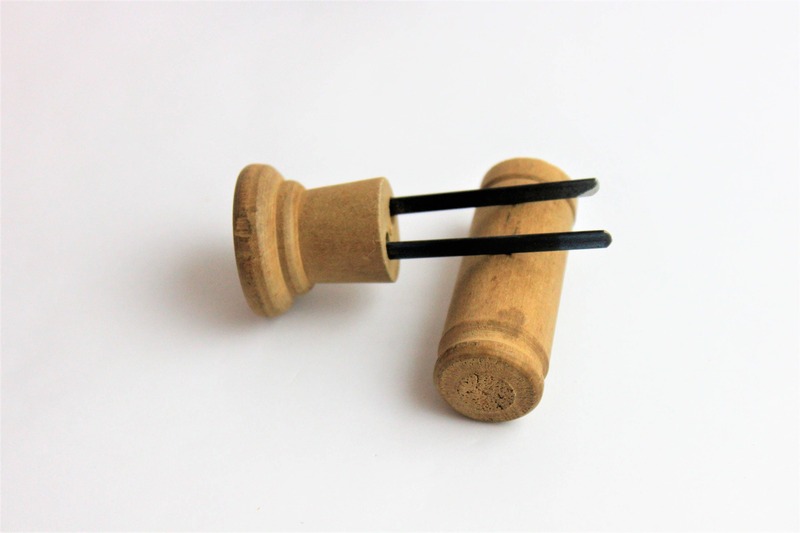 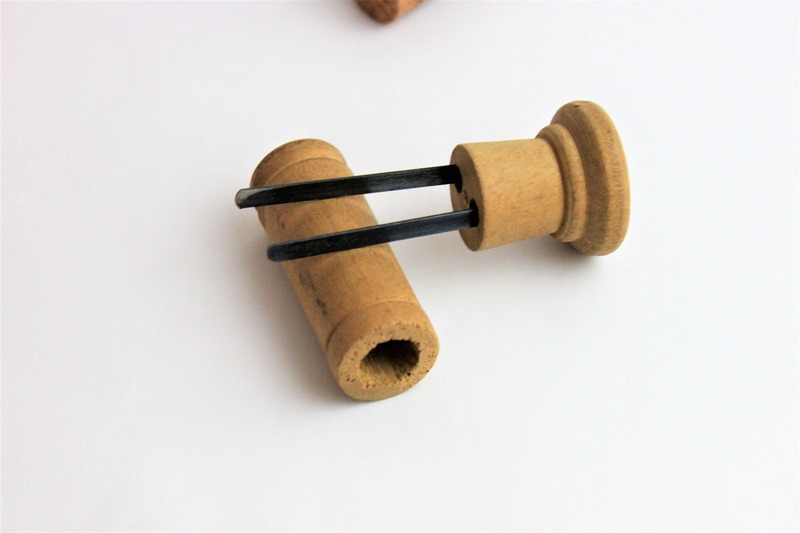 Prong Puller are yet another form of extracting the cork from the bottle, just like its predecessor the corkscrew the prong puller comes in many variations and sizes. 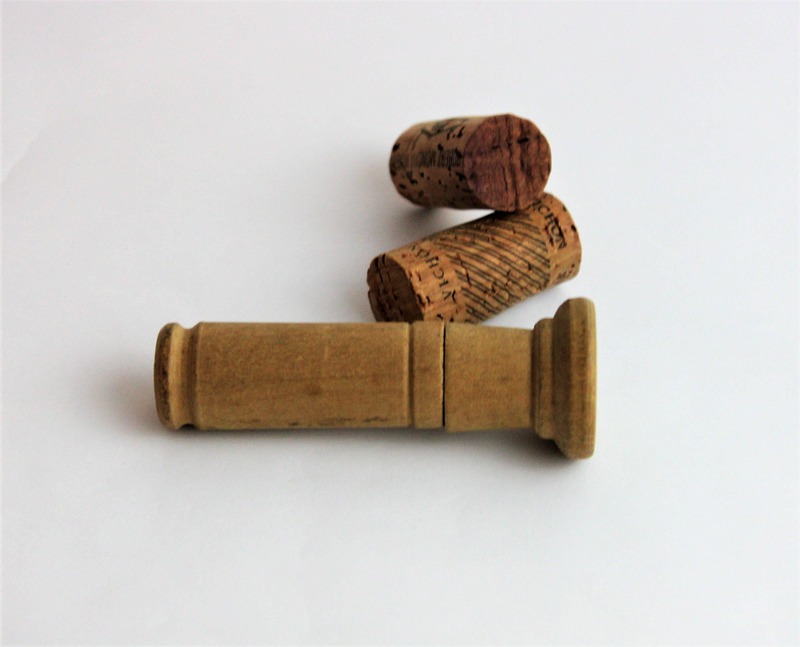 By siding the prongs down the sides of the cork and giving the handle twist and the cork will come right out of the bottle.